· Make certain that you have an emergency kit which includes enough food, water, medicine and other supplies to last for at least 72 hours. Basic services such as electricity, gas, water, sewage treatment and telephones may also be affected. Your supplies kit should contain items to help you manage during such outages. Consider sufficient heating fuel if you have a secondary source of heat, and also ensure that you have adequate clothing and blankets to keep you warm. · Keep fire extinguishers on hand and make sure everyone in your household knows how to use them. House fires pose an additional risk as more people turn to alternate heating sources. The primary hazards to avoid when using alternate sources for electricity, heating or cooking are carbon monoxide poisoning, electric shock and fire. · Never use a generator, grill, camp stove or other gasoline, propane, natural gas or charcoal-burning devices inside a home, garage, basement, crawlspace or any partially enclosed area. Locate unit away from doors, windows and vents that could allow carbon monoxide to come indoors. At no time should a cooking stove or oven be used for heat. · If a carbon monoxide alarm sounds, move quickly to a fresh air location outdoors or by an open window or door. Call for help from the fresh air location and remain there until emergency personnel arrive to assist you. Don’t have a carbon monoxide alarm? The most common symptoms of carbon monoxide poisoning are headache, dizziness, weakness, nausea, vomiting, chest pain and confusion. If you are experiencing any of these symptoms, call for help from a fresh air location outdoors or by an open window or door and remain there until emergency personnel arrives. · If your pipes freeze, allow faucets to drip a little during cold weather. Running water, even at a trickle, will prevent freezing. As a precaution, you should also know how to shut off water valves in the event that a pipe bursts. · Bring pets/companion animals inside during winter weather. Move other animals or livestock to sheltered areas with non-frozen drinking water. Stay indoors as much as possible. If you must go outside, wear several layers of loose-fitting, lightweight, warm clothing rather than one layer of heavy clothing. The outer garments should be tightly woven and water repellant. Wear mittens, which are warmer than gloves. Wear a hat as you can lose as much as 50 percent of your body’s heat through the head. Cover your mouth with a scarf to protect your lungs. If you are outdoors, watch for signs of frostbite and hypothermia, the dangerous and sometimes fatal lowering of body temperatures. Frostbite includes loss of feeling and white or pale appearance in extremities such as fingers, toes, ear lobes, and the tip of the nose. Symptoms of hypothermia include uncontrollable shivering, memory loss, disorientation, incoherence, slurred speech, drowsiness and apparent exhaustion. · Check to see if the furnace is working if the home feels cold. Become alert to dangerous methods of heating a room, such as open flames or ovens. · Go back later or the next day, if at all possible, to make sure everything is still alright. 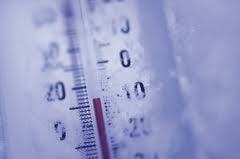 Remove your coat and stay at least 15 minutes to determine if the home is warm enough. This is also a great chance to share a cup of coffee (decaffeinated, of course), verify the pipes are not frozen, and check on pets. When weather circumstances dictate, the Area Agency on Aging and its contracted providers contact frail, isolated and high-risk consumers who are registered for care management. Care managers visit those at highest risk and ensure each home is well-heated and has enough food, water and medication to last for several days. Care managers also respond to emergency needs as they arise. The Area Agency on Aging has already provided about 1,250 “Snowy Weather Boxes” to at-risk older adults who are registered with the agency and often live alone. The boxes include toilet paper, non-skid slipper socks, hand sanitizer, flashlight and batteries, peanut butter, crackers, tuna, fruit juice, bottled water, and other shelf-stable meals and drinks. If your home loses power or heat during periods of extreme cold, public shelters are typically opened and information on such openings will be provided online, and through the media. If the pipes freeze, remove any insulation or layers of newspapers and wrap pipes in rags. Completely open all faucets and pour hot water over the pipes, starting where they are most exposed to the old (or where the cold was mostly likely to penetrate). Listen to a NOAA Weather Radio or other local news channels for critical information from the National Weather Services and other resources. Be alert to changing weather conditions. In an emergency, call 9-1-1 immediately from any wired or wireless phone. An emergency is any situation which requires immediate assistance from the police, fire department or medical professionals. If you’re not sure whether the situation is a true emergency, call 9-1-1 and the call-taker will determine whether you need emergency help. While extreme cold weather cannot be controlled, we can all be prepared by taking action in advance to protect ourselves and our families. Be informed. Make a plan. Build a kit. Get involved. Those are the four fundamental steps to being prepared if an emergency occurs. For more information, visit www.ready.gov. Cold weather health tips may be obtained by calling the Allegheny County Health Department at 412-687-ACHD (2243) or visiting its website at www.achd.net. Information about programs and services for older adults is available calling the SeniorLine at 412-350-5460 (TDD/TTY 412-350-2727), sending an email to SeniorLine@AlleghenyCounty.us or by visiting the DHS Older Adults website at www.alleghenycounty.us/dhs/olderadults.aspx. Allegheny County residents should know about the Money in Your Pocket (MIYP) Coalition Free Tax Preparation Campaign, which helps financially struggling individuals and families file their 2013 federal, state and local tax returns. There are 11 locations staffed with IRS-trained tax preparers throughout Allegheny County. Now in its fifth year, the free tax preparation campaign helps low and middle-income workers maximize their tax refunds by claiming valuable state and federal tax credits, such as the Earned Income Tax Credit (EITC) and the Child Tax Credit (CTC). Services are provided free of charge, offering clients a cost-saving alternative to expensive commercial tax preparation fees. The Earned Income Tax Credit (EITC) is a federal tax credit for people who work but do not earn high incomes. Taxpayers who quality for and claim the credit pay less federal tax, pay no tax at all, or even get a tax refund. Qualified residents could be eligible for a refund between $475 and $5,891. IRS-trained tax preparers help residents get the refund they deserve without expensive service fees and without predatory “payday” loans. In today’s economy, more workers may qualify due to reduced incomes. EITC can make their lives a little easier. The credit can increase their federal income tax refunds by up to $5,981, depending on their individual circumstances. But to get their EITC, they must know about the credit, then file and specifically claim it. · Workers with limited English proficiency. To get started, individuals may call 2-1-1, the free hotline providing easy access to health, housing and human services information. This year, PA 2-1-1 Southwest is taking MIYP tax calls and scheduling appointments. In addition, PA 2-1-1 staff are making referrals to MyFreeTaxes.com, a resource for those residents with incomes higher than the MIYP limits, but not exceeding $57,000. Call specialists can also talk with residents about other resources available to help them in times of need. Through April 15, 2013, volunteers will help Allegheny County residents whose annual incomes do not exceed $20,000 for an individual or $40,000 for a household that can claim at least one dependent. Residents can receive their refund in as little as 9 days. For more information about the Free Tax Preparation Campaign, visit the Money In Your Pocket Coalition website at www.pghfreetaxes.org or dial 2-1-1. Find out more about the impact MIYP makes in our community by watching this one-minute video to learn how “Every Dollar Matters“. The Allegheny County Elections Division has reminded us that residents who wish to vote in the November 6 general election must be registered by Tuesday, October 9. Registered voters who have moved or changed their name or party affiliation must also notify the Elections Division by October 9. Individuals needing to register may apply in person Monday through Friday between the hours of 8:30 a.m. and 4:30 p.m. at the Office of the Registration Commission in Room 609 of the County Office Building located at 542 Forbes Avenue in downtown Pittsburgh. The Elections Division will remain open until 5:00 p.m. on October 9 to accept hand-delivered voter registration forms. 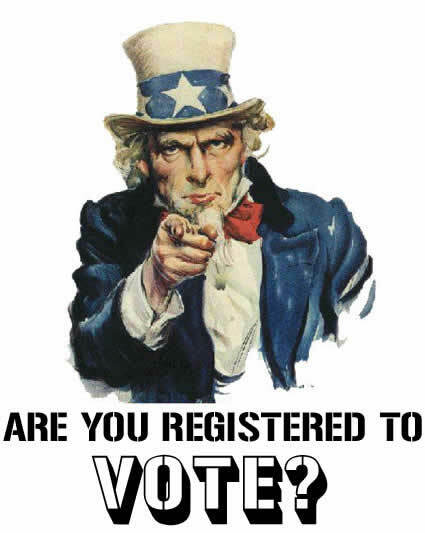 Registration-by-mail forms may also be used to register or to change name, address or party affiliation. These forms are available at Armed Services Recruitment Centers, Area Agencies on Aging, as well as many branches of the U.S. Postal Service and state, county and municipal offices. Registration-by-mail forms must be postmarked by October 9. Allegheny County residents who have questions or would like to verify their registration status may call the Elections Division at 412-350-4510 or click here. The Allegheny County Health Department’s influenza vaccination clinic at 3441 Forbes Avenue, Oakland is now open for the season. The clinic will offer flu vaccine, while supplies last, on Mondays, Tuesdays, Thursdays and Fridays, from 9 a.m. to 4 p.m., and on Wednesdays, from 1 to 8 p.m., with free parking available after 4:30 p.m. in the lot behind 3333 Forbes Avenue. No appointment is necessary. The vaccine will be provided free of charge to children from six months through 18 years old and as a covered benefit to people with Medicare Part B who are not in an HMO and may get vaccine from any Medicare-approved provider. 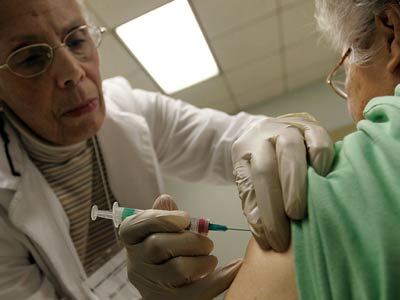 Injectable vaccine is $25 for others, including Medicare Part B subscribers in an HMO who are restricted to getting flu vaccine as a covered benefit only from their primary care provider. Nasal spray vaccine, approved for people from 2 through 49 years old who have no chronic medical condition, is free for children and $10 for those 19 through 49. A limited supply of injectable flu vaccine without thimerosal will be offered free of charge to children from six months through 18 years of age. Please call 412-687-ACHD (2243) in advance to make sure it’s available. The vaccine protects against three strains of influenza virus expected to circulate this season – H1N1 Type A, H3N2 Type A, and a Type B influenza virus. Influenza is a highly contagious upper respiratory infection that can cause mild to severe illness, sometimes leading to death, primarily in the elderly and the chronically ill.
Health officials report there are many sources of flu vaccine and ample supplies are expected to be available this flu season. Anyone who wants the vaccine should be able to get it. We’d like to remind property owners that Monday, April 2, is the deadline for filing formal appeals of their 2013 court-ordered reassessments. Forms must be postmarked on or before April 2 or they may be taken to one of several collection points on Monday. There will also be curbside collection points for appeal forms from 8:00 a.m. to 7:00 p.m. on Monday, April 2, at the County Office Building located at 542 Forbes Avenue in Downtown Pittsburgh and the Lexington Technology Center located at 400 N. Lexington Street in Point Breeze. Property owners should look for county employees wearing bright green vests who will collect the forms. Appeal forms may also be taken to the Kane Regional Centers in Glen Hazel, McKeesport, Ross Twp. and Scott Twp. on Monday between 8:00 a.m. and 6:00 p.m. Property owners should follow the signs for “Informal Reviews” and give their forms to the county employee greeting people. County Executive Fitzgerald and County Council Member Amanda Green Hawkins will host a town hall meeting at 7:00 p.m. on Monday, April 2, in the auditorium of CCAC’s Allegheny Campus on the North Side. Property owners may bring their formal appeal forms to the event, and county staff will also be on hand to assist property owners in filling out appeal forms. The county has also scheduled two additional town hall meetings to assist property owners with the 2013 court-ordered reassessment. The County Executive and County Council Member Matt Drozd will hold a town hall at 7:00 p.m. on Tuesday, April 10, at Moon Area High School located at 8353 University Boulevard in Moon Twp. The County Executive and County Council Member Barbara Daly-Danko will host a town hall meeting at the Carnegie Library of Homestead located at 510 E. 10th Avenue in Homestead. No registration is required, and the sessions are free and open to all. Property owners from any community are welcome to attend town hall meetings at any location. Mayor Luke Ravenstahl today encouraged City resident who need help appealing their 2012 property reassessment to call his 311 Response Line today. Customer service representatives are scheduling residents with one-on-one appeal assistance such as help filling out appeal and tax relief forms, low-cost appraisals and legal support as residents prepare for their appeal hearing. The deadline to file a formal appeal is April 2. The Court ordered this year’s reassessment values to be used for next year’s tax bills, but those values must be appealed this year. The Mayor’s Office has been working collaboratively with City Council and the Controller’s Office to coordinate the aggressive appeal assistance plan. Together, City employees will be deployed to neighborhood senior centers to meet one-on-one with residents. 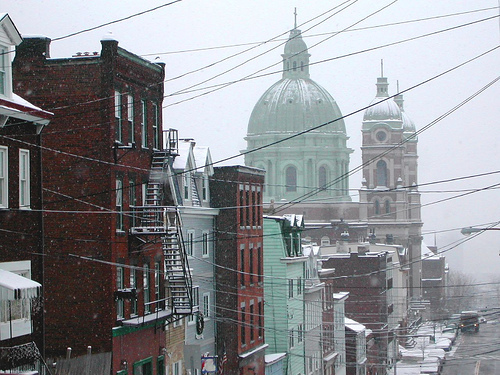 The Duquesne Law Clinic will be assisting the Controller’s Office in providing legal help. 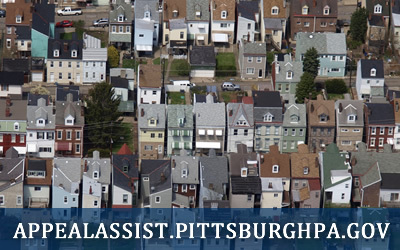 To qualify for assistance, the residents’ property must be located within the City of Pittsburgh and must be a primary, owner-occupied, single-family residential property. In addition, the old assessment value for the property must be under $150,000. City residents aged 65 and older are not subject to the $150,000 requirement. Through a competitive process, the City negotiated a $250 appraisal rate, which is a fraction of today’s average appraisal cost. The City will subsidize half of that, so a qualifying property owner will pay $125 for an appraisal. Councilman Dowd’s office will be in Polish Hill at the senior center at West Penn Recreation Center on Monday, March 5 and Monday March 12. Anyone needing assistance with their appeal should schedule an appointment through the 311 help line. You can call 311 and speak to a live operator from 8:00 a.m. to 4:30 p.m., Monday through Friday. In the City of Pittsburgh, just dial 3-1-1. 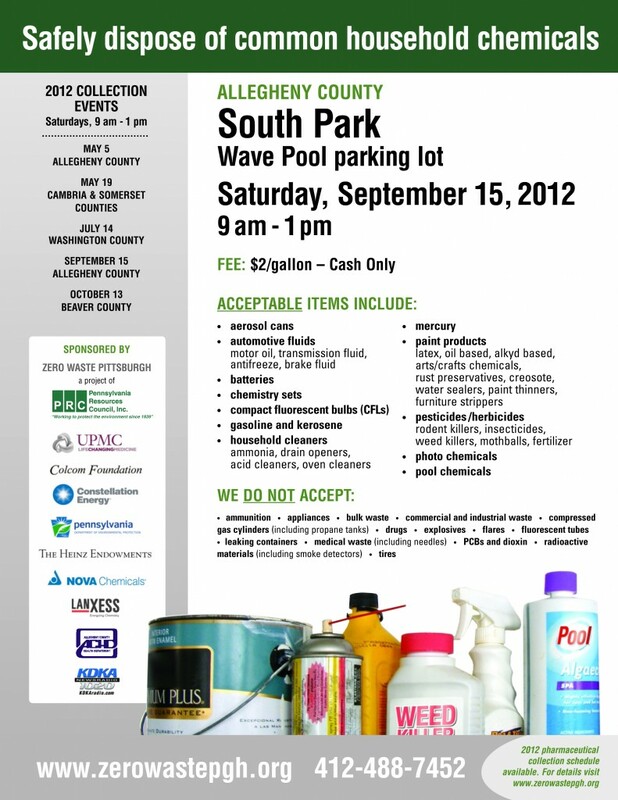 Or use the online 311 form. If you’re not happy with your property tax reassessment, the City has recommended that you file for both an informal review and a formal appeal. If you’re satisfied with the results of the informal review, you can simply withdraw the formal appeal. The deadline to file for an informal review is coming up on Wednesday, February 15. You can apply online, or by calling 412-350-4600. You’ll need your parcel number, which can be found on your assessment notice, or by looking up the property on the Allegheny County assessment website. The deadline to file for a formal appeal has been extended to April 2. The form is available online or at the PHCA office. Fill it out and mail; you should be contacted with a hearing date within a few weeks. You want to be well prepared when it comes time for your review or hearing; here’s some information from our community meeting on how to present an effective case. A recent article in the Post-Gazette about the updated Allegheny County assessment website provided useful information on how to access and use the information. And here is a list of court-ordered reassessment FAQ’s from Allegheny County Assessment. Per Judge R. Stanton Wettick’s court order on Thursday, January 26, 2012, informal hearings that were previously requested by property owners in the City of Pittsburgh and Mt. Oliver Borough will be rescheduled between now and March 2, 2012. An informal hearing is a one-on-one meeting with a representative of the Office of Property Assessments who will review information on the value of your property. You may bring pictures and written documentation supporting a change in assessment, as well as provide corrections to your property characteristics that may have an effect on your value. 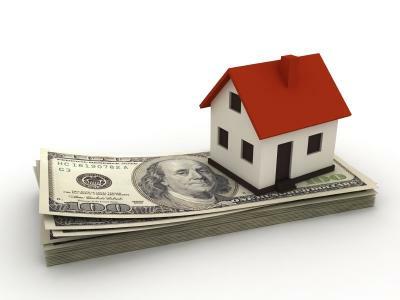 If you wish to request an informal hearing of your property for the 2013 court-ordered reassessed value, you may do so online at http://apps.alleghenycounty.us/InformalReviews/ or by calling the office at 412-350-4600. You will need your parcel ID number when scheduling. ALL requests for informal hearings must be made by February 15, 2012. If you wish to schedule multiple parcels at once, you should make the request by telephone (412-350-4600). Please be advised that if you were requesting an informal hearing for the purpose of correcting data or property characteristics, you also have the option of doing so through the Real Estate Web Site or by e-mailing your parcel ID, contact information and data correction request to fixerrors@alleghenycounty.us. If you aren’t satisfied with the results of your informal hearing, you can apply for a formal appeal. The application form can be found online, or at the PHCA office.